Ok heads up: If nobody, who wanted to help you with your sleep, has until now talked to you about this then that should be a huge red flag. Let me tell you why. Say you had a blissful, stress-free weekend. You exercised, met up with old friends, caught up on your reading, stayed away from work emails, maybe even went for a long walk. Sounds perfect, doesn’t it? Yet, when you get to bed you are twisting and turning and in the morning you still don’t feel fully rested. What could possibly be causing that? Well, if you have analyzed every possible reason for your disrupted sleep pattern and still can’t figure out the reason, you may be missing this, pretty huge, one – food sensitivities. 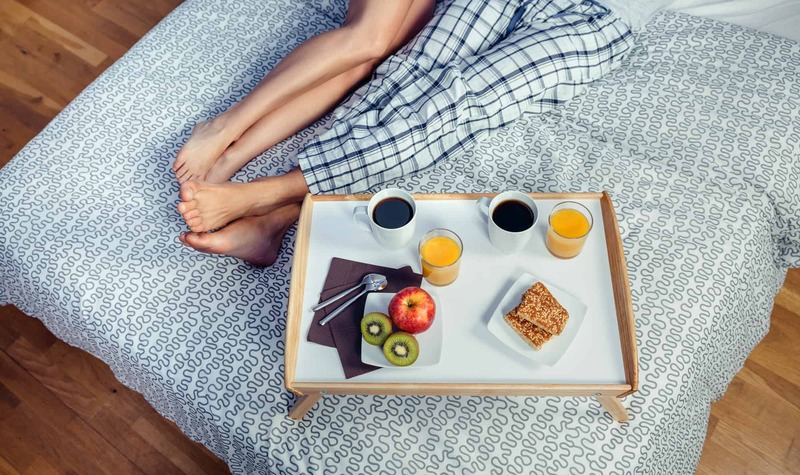 Food intolerances or sensitivities play a big role in our sleep patterns. They are also more likely to go unnoticed as opposed to a food allergy that tends to cause an immediate reaction like itching, tongue swelling, or hives. Symptoms of food sensitivities may not become evident for hours, if not days. You may feel a bit of a fatigue, perhaps a tad bloated, or slightly more stressed than usual. You don’t pay much attention to it and go on with your daily routine. In the meantime, the food sensitivity you are not even aware of is messing up your sleep. As an example I had a client who had a super healthy diet. One of his staple items was broccoli, a food often praised for all its benefits. He, however, was intolerant towards it so unknowingly he was stressing out his body every time he ate it and therefore also inadvertently sabotaging his sleep (freaky, I love broccoli by the way). 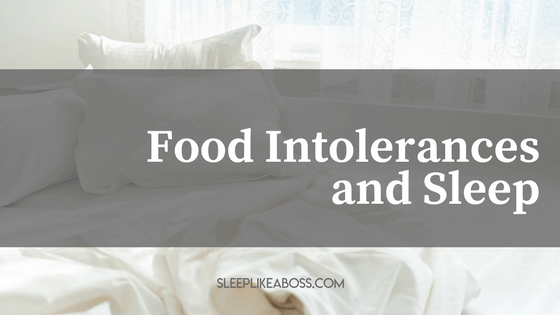 ​Here is why food intolerances are connected to sleep issues. Food intolerances are linked to insomnia in a number of ways. Consuming food that you are intolerant to can result in intestinal inflammation if you are under chronic stress. The reason for that is that stress raises cortisol levels and cortisol is responsible for brush border atrophy . . Come again? Basically our intestinal lining is covered with tini tiny fingers (the villi) and tiny hairs (microvilli) which are filtering all the particles and molecules floating through our intestine. We also call the microvill brush border. Brush border atrophy is when those little hairs are vanishing and suddenly the filtering system is compromised. So let’s imagine that you are eating a certain food. Something you never had trouble to digest. Your body knows the molecules, it knows which ones are supposed to be absorbed and which ones belong to be eliminated. Now suddenly, because your intestinal cells have become loose and your filter system has been compromised a longer molecule of the same food that you have never had issues with, and that would be too big to pass through to the immune system if the intestinal wall was in good shape, passes through into your immune system. Your immune system is drilled to recognize foreign substances and molecules and it tags them as dangerous. It is basically getting ready to kick them out next time they appear.Here is the problem. The molecule that has gone through still bears information of the basic food you have always been eating without an issue. But now it has been tagged as dangerous. So next time you are eating this food your body will raise an inflammation to get rid of it as it considers it to be an enemy. And that is how food intolerances happen, that is how your immune system is slowly starting to work overtime and how your body is becoming imbalanced and showing up with all sorts of issues, from autoimmune disease to hormone imbalances. Since our bodies are programed to do as much internal healing as possible, adrenal glands step in and release hormones to manage the inflammation. One of those hormones is cortisol . . . the energy and emergency hormone and super impractical when you want to fall asleep . . .
***Disclaimer*** The less stress you have the better your gut is capable of dealing with food that is harder to digest, such as gluten. But if you are already weakened because of chronic stress then those foods can have worse consequences as in a super healthy, non-stressed version of you. A further long-term consequence is that because these glands have to work over-time, they get less efficient. As a result, they don’t release a sufficient amount of stress hormones that typically control and mitigate stress in various parts of our body. And that has a direct impact on your sleep patterns. Vitamin B-12 deficiency is another side effect of gluten intolerance and it too plays an important role in disrupted sleep patterns. • Enzyme deficiency adversely affects our sleep. Having a lactose sensitivity means you are missing a lactase enzyme, which is responsible for lactose digestion. 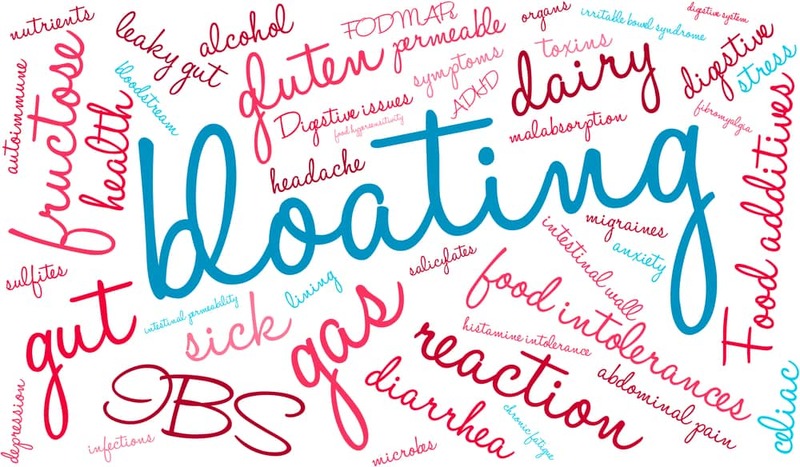 When your body fails to produce a sufficient amount of digestive enzymes it results in feeling bloated or gasy – side effects that can easily impact sleep. • Sleep apnea – a condition that causes shallow breaths or pauses in breathing – can be amplified by food sensitivities. Having a low tolerance to additives and chemicals common in many foods these days translates into swellings of body tissues caused by your body’s release of inflammatory markers. 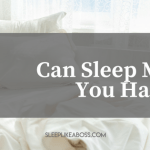 Such markers reduce the amount of chemical serotine produced by your brain – a serotine that regulates your sleep – while swollen body tissues further damage your airways, thus, piling on to your sleep apnea. The good news is that once you find out what your food sensitivities are, you can easily manage them. Often times that would involve eliminating certain types of food from your diet and taking supplements. And, unlike sleeping pills, this is a healthy way of solving your sleep problems. 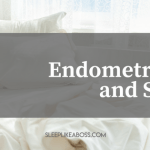 And to help you do so I have created a food & symptoms journal PLUS a free mini audio lesson to help you figure out which foods are your sleep saboteurs.